My name is Brody Davis and I am employed as the Meigs County Health Department Emergency Response Coordinator. I have only been employed with the Health Department since October 2018 but have spent over 10 years in public safety and emergency management. This experience has assisted me with transitioning into my new role in public health emergency preparedness. As the Emergency Response Coordinator, I am tasked with coordinating and pre-planning public health’s response to major incidents which could impact the health of the community, including but not limited to disease outbreaks, natural disasters, and chemical or biological incidents. By planning and preparing for incidents, the health department will be able to better serve Meigs County in a time of need. Through my role I am also able to be a part of numerous coalitions and committees including the Meigs County Local Emergency Response Committee, Meigs County Healthcare Coalition, and the Meigs County Safe Schools Coalition, which all allow preparation and coordination between multiple agencies in the event an incident should occur. The other component of my position is managing the Meigs County Medical Response Corps (MRC). The MRC is a volunteer organization which can be activated to serve as a support role during an incident. Despite its name, the Medical Reserve Corps is not limited to medical professionals, anyone can apply to volunteer in the organization. If you are interested in joining the MRC you can visit www.meigs-health.com or contact me at 740-992-6626 EXT 1061. 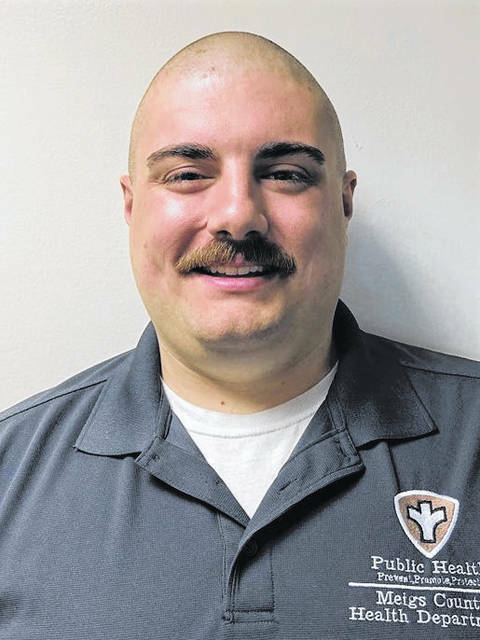 Brody Davis is the Meigs County Health Department Emergency Response Coordinator.